The capability analysis is a valuable tool for Lean Six Sigma professionals. Every process has performance limits and variables. There is power in understanding those variables and variances that customers will tolerate. 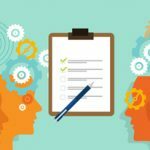 It offers a method of understanding these variables or limitations, and aligns them with customer expectations. Understanding the true value of the variables in a process can be defined by the capability analysis. The capabilities and value of a process can be determined by comparing the width of the process spread to the width of the specification spread. When a process is capable, the process spread is smaller than the specification spread. When the process is centered and within the specifications, it is more capable of consistently producing product that meets customer expectations. The benefits is that it offers a key measure of performance that is easily translated in a visual representation that is applicable across all industries. Further value of the capability analysis is that it estimates the proportion of product that does not meet specifications. It provides calculations for the percentage of the time your process will fall above the upper specification, or below the lower specification. This can be compared to the yield, to determine how many failures are due to variation (common cause), and how many are due to outliers and mistakes (special cause). It also provides a summary number that explains how capable the process is of staying within the specification limits (known as Cpk and Ppk). If we are collecting data on the weight of cereal boxes, and we have to meet specifications between 85 and 92, then you can see below that we will not always meet those specifications. Sometimes the data falls below 85 (about 2.45%), and sometimes the data goes above 92 (about 7.1%). Therefore, this process is not capable. It will fail to meet specifications about 9.55% of the time. We should expect a yield of only 90% unless we reduce variation, shift the average, or work with our customers to define new specification limits. If the process specifications were 80 and 100, then you can see below that the process would be capable. There is no chance that we will have data outside the specifications. This is performing close to a Six Sigma level (if the nearest specification is at least six standard deviations away). Bottom line, it summarizes a significant amount of information in one chart. Statistically speaking, you are assessing the capability to make this highest quality product by comparing the width of the variation in your process with the width of the specification limits. The capability analysis is crucial to achieve this with your project. By using this tool, you will be able turn your efforts from just meeting established requirements to applying change that reaps true quality improvements that are consistent. 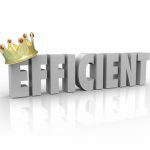 Ultimately, you will be able to offer the highest amount of quality and customer satisfaction from your process with the lowest amount of variation. 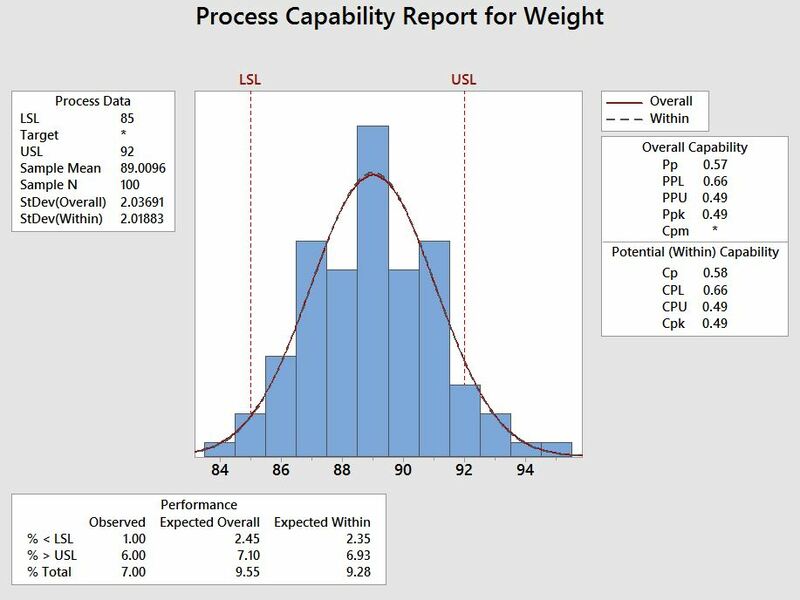 Capability Analysis is a valuable tool across the Lean Six Sigma practice. 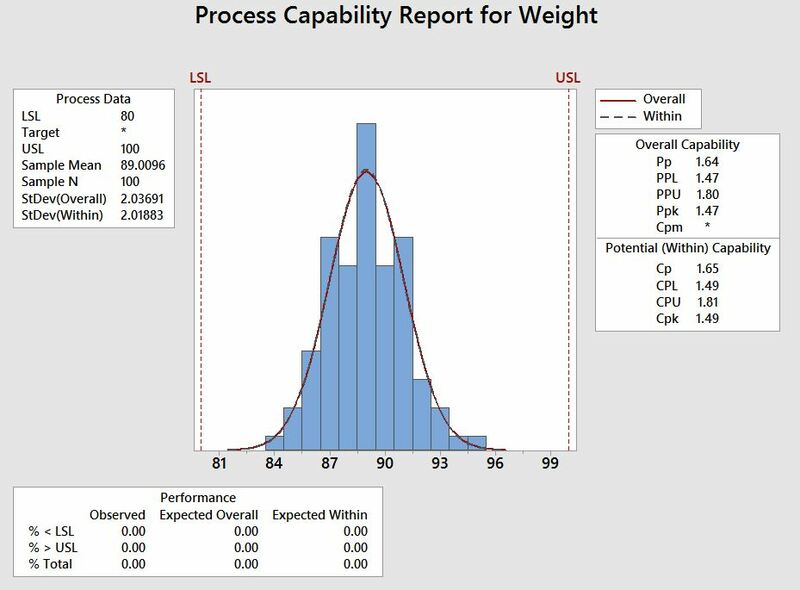 If you would like to learn more about Capability Analysis, consider the following items we offer: Histogram Generator (free), Process Capability (Intro and Advanced) eBook (Shmula Pro members), and Six Sigma training videos (Shmula Pro members). You can also attend a Green Belt or Black Belt training program, or Minitab training class.